There are lots of euphemisms for firing people – downsizing, outsourcing, rationalisation, organisational change, company review, restructuring and redundancy. Irrespective of which labels organisations use, people’s emotional reactions tend to be the same. Apart from the financial implications, job loss can mean a significant loss of identity and an individual’s self-confidence may be eroded. In addition a person may feel excluded from society. Of course there are always individuals for whom a redundancy may be welcome. For example, if an individual receives a decent redundancy package, or was unhappy in their work. For such individuals a redundancy offers an opportunity with financial security to do other things. However, most people do not fall into this category. Depending on age, personality type, family and financial circumstances, individual reactions may range from mild, moderate to severe. 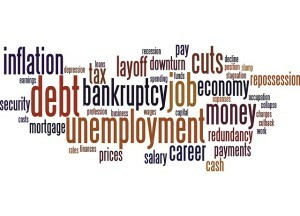 The most common reaction to job loss is physical shock accompanied by some of the classic symptoms associated with grief – disbelief, denial, anger, feeling stunned, becoming withdrawn, loss of confidence, and a feeling of ‘why me?’ This is particularly true when an individual had no prior warning or sense that they would lose their job. 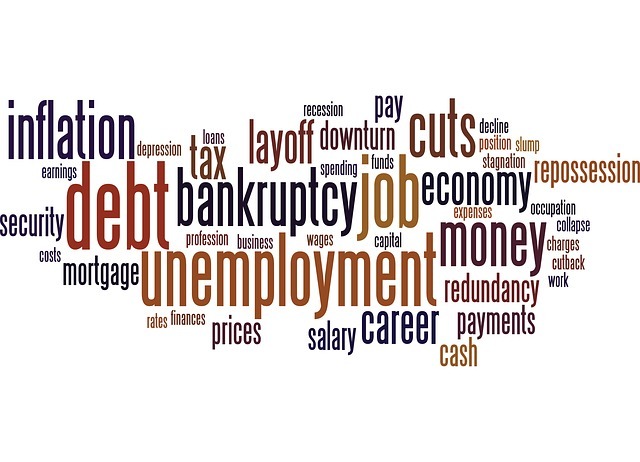 Around the time of job loss, thinking patterns tend to follow a very specific sequence – denial, followed by anger, progressing to feeling low, sometimes slipping into clinical depression. The overall length of time a person remains in each of these states varies and depends on pre-existing factors as well as how soon new employment is secured. The most important aspect for the client is to remember is that, whatever the feelings, they are temporary and predictable. The second most important thing to bear in mind is that emotional shock is a normal reaction. Some people find the whole job loss experience so overwhelming that they exhibit classic grief and in severe cases trauma symptoms. Losing a job may bring to the fore other unrelated areas of ‘unfinished business’, going back over a period of several years, or even decades. This unfinished business might include delayed or unresolved grief over a bereavement, physical assault, divorce, relationship break up, or loss of a house. As with many other life events, an individual’s response to crisis depends on the individual’s philosophy of life and unique survival mechanism. The way people have dealt with other crisis situations in their lives is also an important factor. Personal attitude to change, positive or negative, as well as the person’s state of physical health also plays a part. Depending on how distressed people are and the length of time they have been in that state, it may be a good idea to seek professional help from someone who can guide the individual through this transition phase. For therapists it is the recognition that the transition has a very specific chronology with specific emotional processes to be gone through before reaching what is called the ‘resolution stage’. 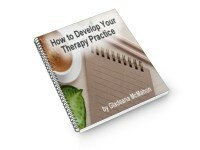 A therapist helps the individual identify the various landmarks in this process. The first thing you should expect from people who have lost their jobs is that they are likely to behave differently. The following list provides helpful suggestions for families, friends, former colleagues and others trying to support someone who is going through this transition process. As therapists it is easy to only focus on the individual during sessions. However, the perhaps producing a brief information sheet with some “do’s and don’ts” can be a helpful aid for family and friends. Listen, listen and listen. An individual may repeat a story many, many times. It may even get boring, but keep listening nonetheless. This is the individual’s way of processing what has happened. Make sure the individual has the contact telephone number of someone who will listen if they are distressed, cannot sleep and need someone to talk to at 2 am, for example, 24 hour crisis centres such as the Samaritans. Recognise that the person may feel embarrassed about having lost his/her job. In many instances men particularly may feel they have let their families down. Never resort to platitudes such as ‘it could be worse’ … ‘it happens to a lot of people’… ‘This could be a turning point for you’… ‘You never liked that job anyway’. All this may be true. However, the risk can be that the person is not in an emotional position to see this. Not surprisingly, relationships can be strained due to a partner’s job loss. People frequently find they are unable to discuss the situation with each other and may stop communicating. If the individual is the main bread winner then s/he may experience general uncertainty and concerns about money and financial security. S/he may blame her/himself and feel quite rejected – even though those feelings are not necessarily either logical or justifiable. A range of contradictory behaviours is also possible. For example, it may include more arguments, more misunderstandings, and a need for more closeness. Equally, a search for independence and a reduction of commitment to the relationship may also take place. There are many variables and none of these states is necessarily permanent. Follow a job loss parents may find that that their children tend to act out their feelings through behaviour rather than in what they say. Some children may become quite aggressive in their play or in relationships with other children or may retreat into their own world. Children may be afraid of the changes they will have to face, such as a new home, a new school, or new friends. Children may become deeply upset at the prospect of change and blame themselves for what is taking place. They may believe they are at fault for arguments or communications problems between their parents. Equally possible are scenarios where they openly blame the parent for the day-to-day changes that have been brought about in their own lives. They may become extra sensitive to criticism, especially if their parents are also quite anxious and worried. Children need to be kept informed about what is happening in their family and they should not be sheltered from the practical impact of these changes. They will experience and feel the impact anyway and their feelings about this need to be acknowledged by their parents. They will need more reassurance an understanding because they too will be feeling angry, frustrated and uncertain about what’s happening in their world. When working with such clients providing information that normalises an individual’s reactions is important. However, as that person has relationships with others it is also important that his/her situation is shared. This can be done by providing information sheets as mentioned above. The more the person and those around him/her understand the impact the more support this can provide over and above any therapeutic interventions.